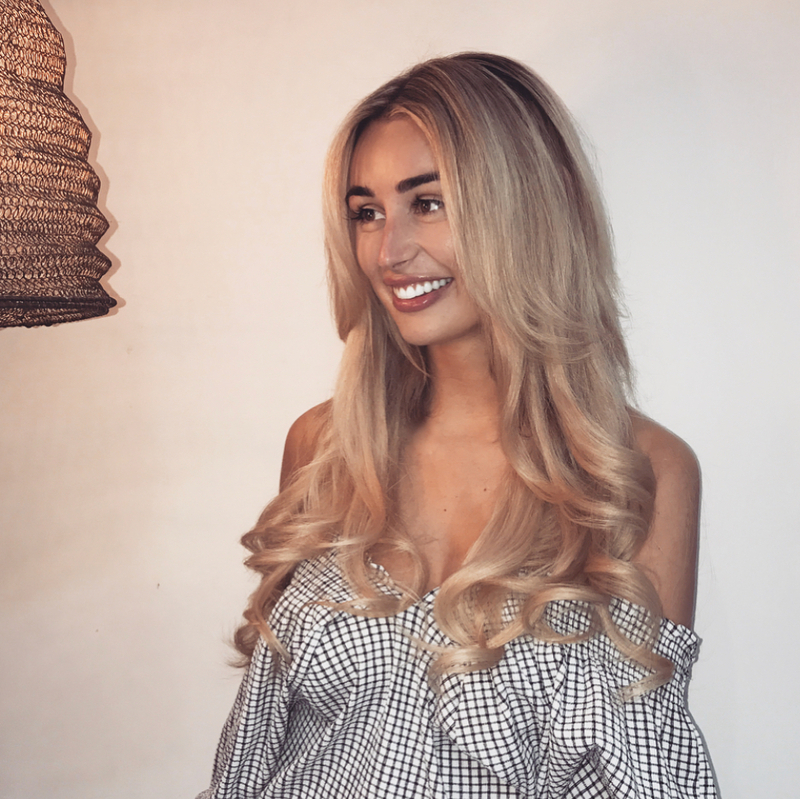 Our Specialist Boutique Salon offers a range of different hair extensions, all made of 100% natural high quality human hair. Our selection is sourced from only the finest Russian hair. It’s then coloured gradually and carefully to achieve a wide range of shades, whilst still maintaining its superior quality. Prices include bespoke handmade hair extensions, cut and style, plus a follow-up appointment four to six weeks later. Prices stated are for a standard head of hair extensions. For clients with very thick/short hair, more hair extensions will be required. Longer hair is available upon request. We also offer Virgin Russian hair – premium hair that’s been collected in its purest, rawest form and is never coloured or chemically processed in any way. Contact us for full details and prices. For prices of our Easilocks hair extensions, please contact us. A 50% deposit is required when you make your booking. Maintenance involves removing all the extensions, combing out any hair that has shredded over the three-month period, and retipping all the extensions. The hair extensions are than reapplied using new rings whilst making sure that the sections taken are being rotated.